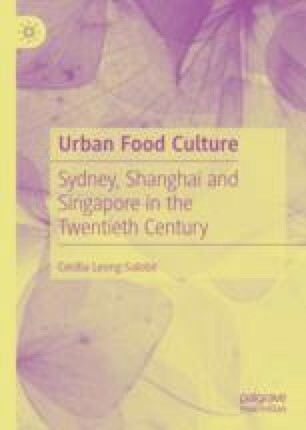 The recent food history of Sydney, Shanghai and Singapore is a complex narrative of empire, trade networks and migration patterns. This book discusses aspects of each city’s cuisine in the twentieth century, examining the interwoven threads of colonial legacy and globalization. The three cities were nodes in the imperial network, segueing into global cities. The exchange of goods and services that circulated among the three cities and the migration of people from across the globe to the urban centres triggered the growth of these metropolises. The book traces the social histories of the cities’ restaurants, cafes and street food and of markets and supermarkets in the contexts of culinary nationalism, ethnic identities and globalization. Primary sources used include newspapers, cookbooks, private records and government records. Gabaccia, Donna R. Pizza, Pasta and Red Sauce: Italian or American? History in Focus, Issue 11: Migration. https://www.history.ac.uk/ihr/Focus/Migration/articles/gabaccia.html. Accessed 30 Mar 2018. Kearney. 2017. https://www.atkearney.com/global-cities. Accessed 31 May 2018.